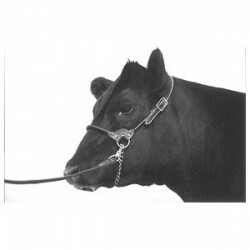 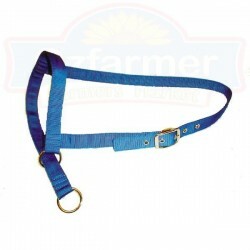 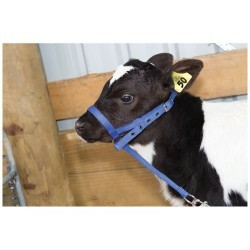 A well made nylon webbing halter complete with chin strap with ring which are very secure. 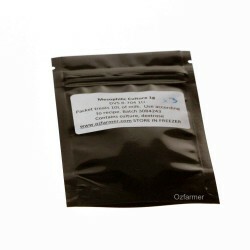 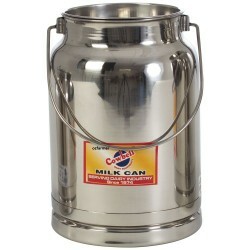 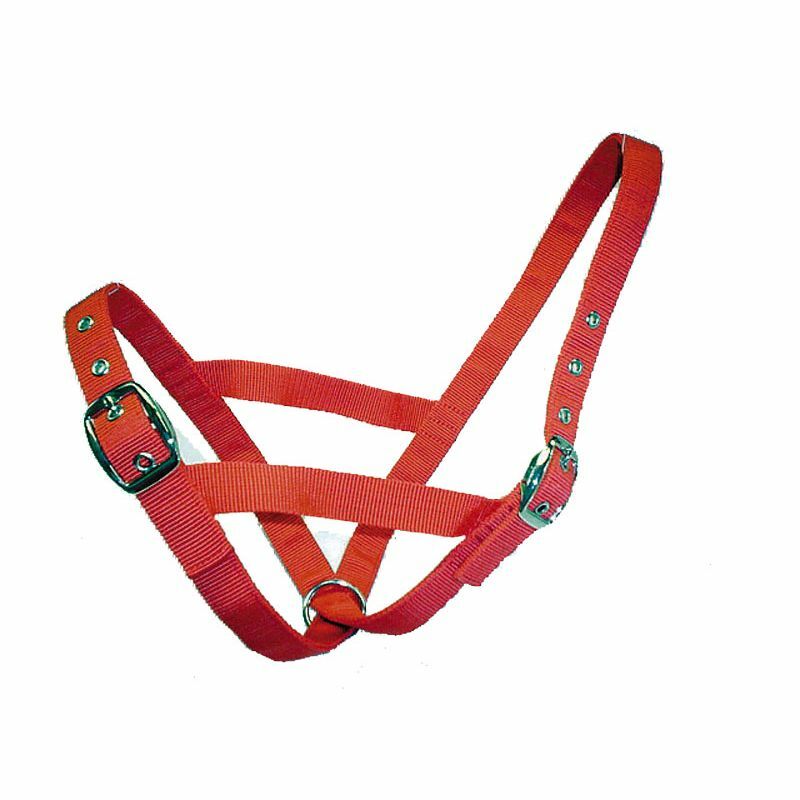 Halters are made from double 20mm wide nylon webbing. 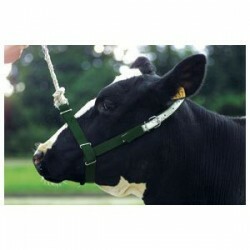 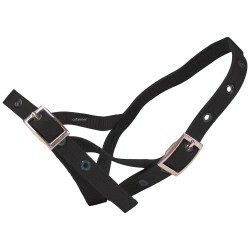 Attractive round nose-strap cheek halter of sleek bridle leather with hand-rubbed finish.Hardwa..